The beautiful island of Cozumel, the largest inhabited island in Mexico, is a paradise for divers from all over the world. The island is surrounded by more than 25 reef formations where divers of all ages and skills can enter into a completely fascinating and different world: endless coral inhabited by immense shoals of colorful fish. The possibilities are interminable for both beginners and experts. East of the Yucatán Peninsula, on top of the age-old structures of the Mayan coral reef, the second largest in the world, stands the Island of Cozumel, the largest inhabited island in Mexico. Its name, derived from the word Cuzamil, meaning “island of swallows” in Maya, conjures up memories of its pre-Hispanic origin, the conquest of America and the pirates and buccaneers that thronged its seas. 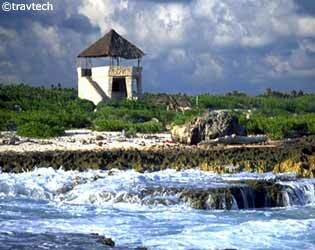 The Island of Cozumel measures 48 km from north to south but only 16 from east to west. 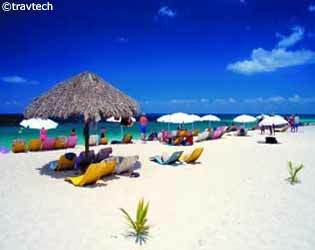 On either side of the island, beaches form a long, white sandy coast. Gentle waves and transparent waters wash the western side of the island, while huge waves crash against the eastern side. Its flora and fauna have a number of unusual features and include certain endemic species, such as the dwarf raccoon and the Cozumel wren. 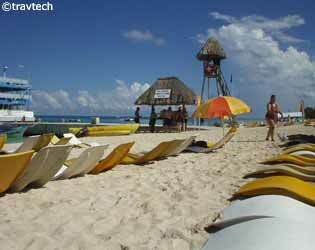 Cozumel’s greatest wealth, however, lies underwater.